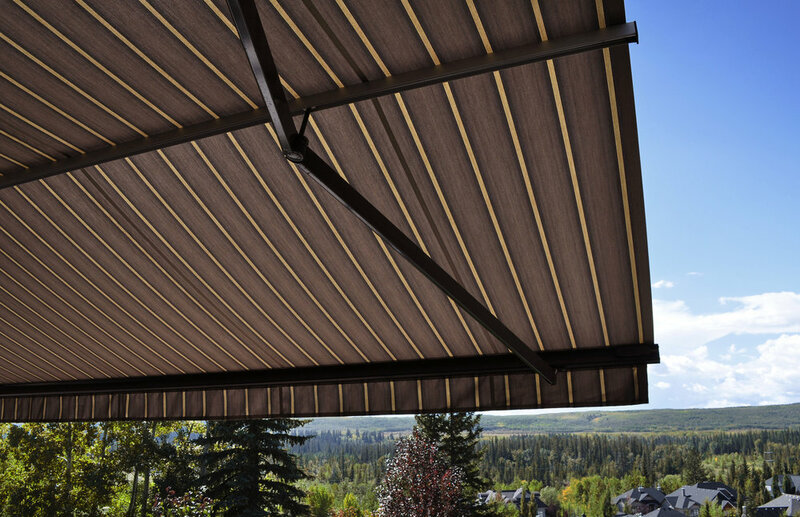 the Royal Marcesa is our most popular awning. 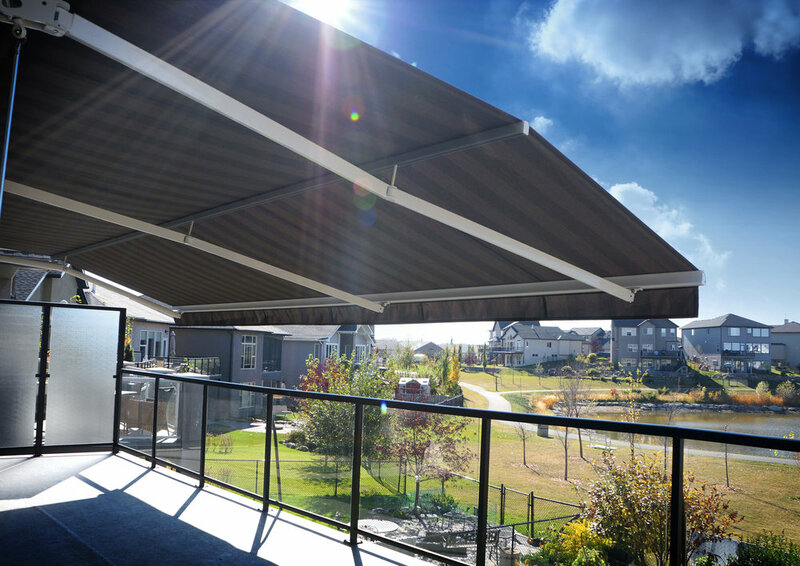 Engineered for durability and unsurpassed quality with an all aluminum frame, the Royal Marcesa is custom manufactured to provide a clean corrosion resistant, maintenance free system to enjoy for years to come. 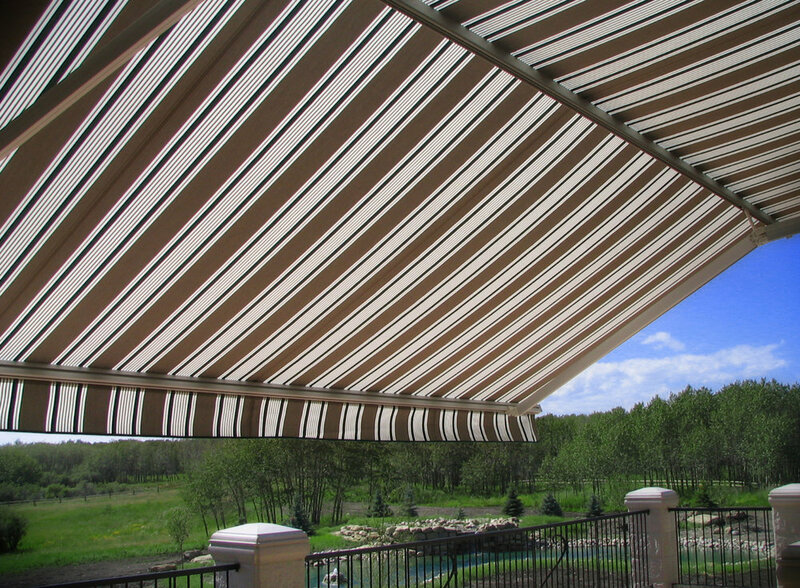 Our superior strength Royal Marcesa provides a classic European look, while adding the center beam increases frame & fabric support, making it one of the strongest awnings on the market today. This beam also increases headroom and provides a unique look like no other awning. 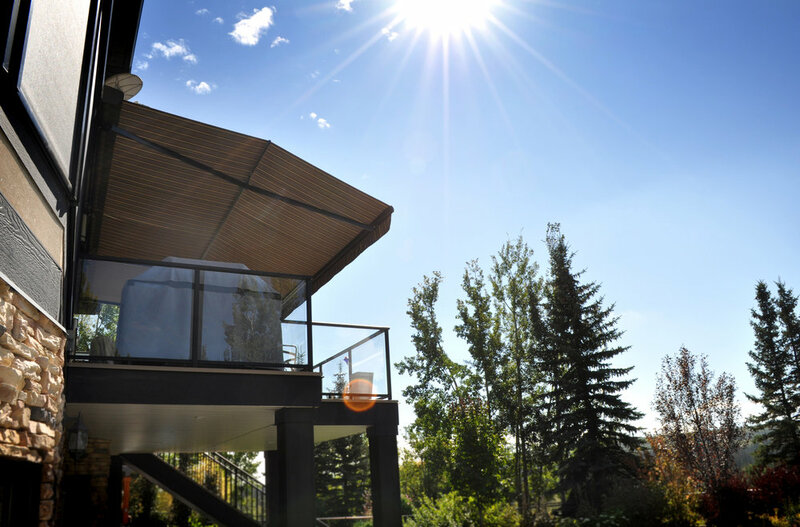 Royal Marcesa awnings come with a standard pitch adjust, another industry first. Available white, black or clay powder-coated finish.